Rumors swirled around the next-generation Apple TV box for years. For a long time, many observers assumed that it wouldn't be a box at all: it was expected to be a full-fledged TV set with the Apple TV hardware and software built into it. We learned that that was not the case when Apple unveiled the 4th Generation Apple TV at its "Hey Siri" event on September 9, 2015. 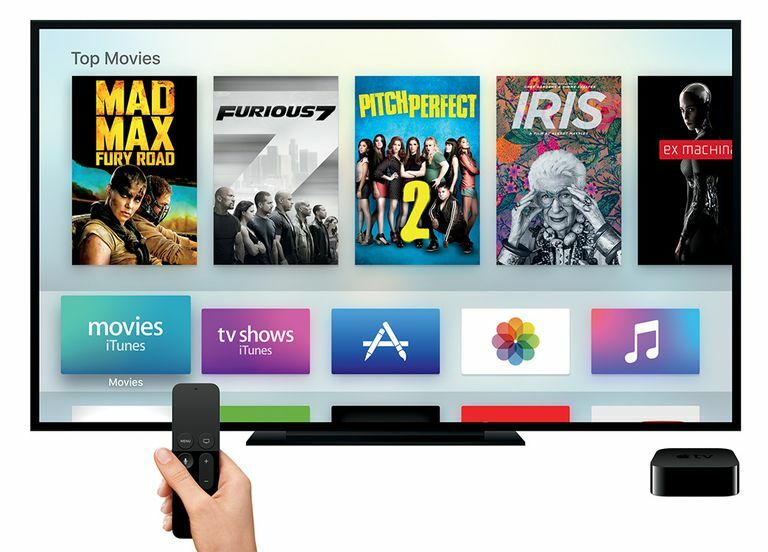 The Apple TV it announced looks somewhat similar to its predecessors, but added a suite of features that took it well beyond what they offered, making it perhaps the most powerful, full-featured, and exciting set-top box or smart TV device ever made. Here are the most important aspects of that new device. One of the most important changes in this version of the Apple TV is that it now has its own App Store, meaning that users can install their own apps. The device supports this because it runs tvOS, a new OS based originally on iOS 9 (as later versions of the iOS have been released, tvOS has kept up with them). Developers need to create special Apple TV versions of their existing iOS apps, or create entirely new apps specifically for use with the TV. The introduction of native apps and the App Store was one of the things that helped the iPhone really take off in popularity and usefulness. Expect the same thing to happen with the TV. To learn more about the history of user-installed apps on the Apple TV, check out Can You Install Apps on the Apple TV? Games: Competition for Nintendo and Sony? Along with TV channels and e-commerce/entertainment apps, the Apple TV App Store will include something really important (and fun): games. Imagine being able to take your favorite iPhone and iPad games off your device and play them in your living room. That's what this model offers. Again, developers will need to create Apple TV versions of their games to take advantage of all the device has to offer. iOS games are already among the most-played games in the world, with the casual games from that platform posing a real threat to handheld systems from traditional gaming powerhouses, like the Nintendo 3DS and Sony PS Vita. With cool controller options, powerful hardware, and a great foundation of games, the new Apple TV might even give the Playstation or Xbox a run for their money. Check out the Other Features section below for another cool game-related feature. The 4th Generation Apple TV comes with a totally revamped remote control. The Siri remote includes a touchpad for navigating onscreen menus, rechargeable batteries (a first for Apple TV remotes), standard control buttons, and a microphone to let you talk to your Apple TV (more on that in the next section). The remote connects using Bluetooth, so you won't even need to point it at the TV for it to work. The remote doubles as a game controller with both button and motion controls. Even better, the new Apple TV supports third-party Bluetooth game controllers, meaning that as gaming takes off on the device, third-party controllers that take best advantage of its capabilities should start to appear. Forget navigating onscreen menus with buttons on the remote: The 4th gen. Apple TV lets you use Siri to control it. Just speak into the microphone on the Siri remote to search for content, select programs and movies, and much more. Talking back to the TV has never been so powerful. In fact, virtually everything you can do on the Apple TV can be done via Siri, including searching in loose terms but getting specific answers ("show me romantic comedies from the 80s rated 4 stars or higher") and rewinding TV and movies — and temporarily turning on subtitles! — by simply saying "What did she say?" Want to watch a movie, but not sure which service has it and which has the best price? The universal search feature of the Apple TV can help. With a single search, you'll get results for every service you have installed on your device. For instance, want to check out Mad Max: Fury Road (if you haven't, you really should)? Search for it — maybe by voice, using Siri — and your search results will let you know if it's available on Netflix, Hulu, iTunes, HBO Go, and Showtime (at launch; other providers will be added in the future), how much it costs, and will let you link directly to it in your preferred app. Forget about checking each option individually; now a single search gets you everything you need. Notifications: Is there a no-hitter being pitched in a baseball game you're not watching? The TV (via the Major League Baseball app) can let you know so you can jump over and catch the excitement. Live Data: Another sports example: In this case, the TV can display stats for players updated as the game happens alongside the broadcast. Weather and Other Data: Want to find out what tomorrow's weather is going to be without changing the channel? The Apple TV can display the forecast at the bottom of the screen without interfering with your show. Just ask Siri. Universal Apps: If you have an app on your iPhone and Apple TV, each device knows what happened in it on the other platform. For instance, play a game on your commute home on your iPhone and you can pick up where you left off on the Apple TV when you get home. More powerful guts are at the core of the new Apple TV. The box is built around Apple A8 processor, the same chip that powers the iPhone 6 series and iPad Air 2. If you've seen the great graphics and responsiveness on those devices, imagine what it can do for your TV. You'll also find either 32GB or 64GB of memory on this model. The 4th Generation Apple TV is 3.9 by 3.9 by 1.3 inches. It weighs 15 ounces. It comes in the same black color as previous models. What About the Older Models? As Apple has begun to do with the iPhone, just because a new model has been introduced doesn't mean the old one goes away. That was the case here. The previous Apple TV model, the third generation, was still available after the release of the 4th gen. model, at just $69. Since then, Apple has released the 5th Generation Apple TV, aka the Apple TV 4K. The 4th Gen. model is still available, but all earlier models have now been discontinued.